SirT teaches on just how valuable you really are as a child of God! Also, our guest “Brother Farmer” shares some amazing information on several topics. Teaching: Sir Timothy Thrapp – You are very valuable as a child of God! Brother Farmer offered insights on many different topics, including buried installations (possibly built by extraterrestrials,) protecting the planet from meteorites and asteroids like a high-tech shield. 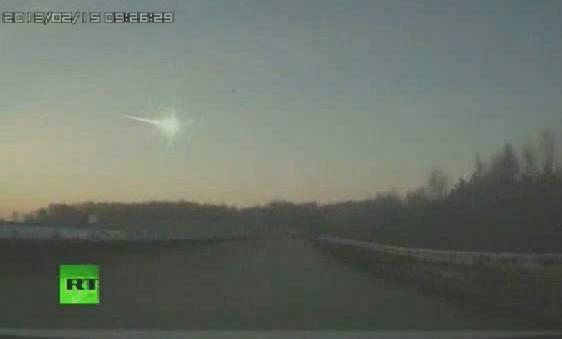 Last week there was a large object in Russia that was seen streaking across the sky before it exploded. This was caught on video by many witnesses and shared widely on YouTube. Underground pyramids in Alaska have been discovered that emanate powerful fields and could be part of a network of these devices protecting Earth. Q: God is weaving poetry into this dynamic tapestry of creation by the subtle yet persistent work of His Spirit flowing in and through the lives of those who put their trust in Him. C: When we get to heaven, I cannot wait to see ALL this technology and fascinating things that are hidden from us now, and all the wonders of this universe. We have been given a pittance of knowledge on this planet. Q: Do you have anything to add on how to become one of the 300? C: I believe they have teleportation technology, ambient “dominant” energy systems that are cost-free, and we have no idea what else they have come up with. Q: Would you comment on the Keshe Foundation’s theory of antimatter dark matter etc and the new work by DaveLaPoint The Primer Fields? C: My guess is this Russian incident was a practice run. Bankster BlackOps have the TR-3B (and other anti-gravity ships) and I’ll bet they are practicing at adjusting small asteroid orbits to target certain cities. C: Russia does not want interference with their plans for Syria & Israel. Perhaps Sandy Storm was their Tesla weather manipulation Technology being used to send the U.S. a message “Don’t mess with us.” The meteor may be the Banksters reply. Q: Sir T Yes, please teach on the show about Fasting properly. Get informed and involved in REAL World Improvement! Help change our world for the better! Pray about becoming a Covenant Partner Today!